The U.S. government sends a lot of emails. Like any large, modern organization, it wants to “optimize” for “user engagement” using “analytics” and “big data.” In practice, that means tracking the people it communicates with—secretly, thoroughly, and often, insecurely. Granicus is a third-party contractor that builds communication tools to help governments engage constituents online. The company offers services for social media, websites, and email, and it boasts of serving over 4,000 federal, state, and local agencies, from the city of Oakland to the U.S. Veterans Administration to HealthCare.gov. In 2016, the company merged with GovDelivery, another government-services provider. It appears that parts of the federal government have been working with GovDelivery, now Granicus, since at least 2012. Last October, we took a closer look at some of the emails sent with Granicus’s platform, specifically those from the whitehouse.gov mailing list, which used the GovDelivery email service until very recently. The White House changed its email management platform shortly after we began our investigation for this article. However, several other agencies and many state and city governments still use Granicus as their mailing list distributors. The emails we looked at, sent to subscribers of the Whitehouse.gov email list in October 2018, happen to be an exemplary case study of everything wrong with the email tracking landscape, from unintentional and intentional privacy leaks to a failure to adhere to basic security standards. We inspected an email from the White House’s “1600 Daily” newsletter sent October 22, 2018. The email uses two common methods to monitor user behavior: pixel tracking and link tracking. We’ll break them down one at a time, using examples from the email itself to illustrate how those methods work in the common case. In addition, we’ve written guidelines for users, email clients, and email providers to protect against these techniques. Today, almost all emails are sent and read in HTML. An HTML email is treated much like a static web page, with text formatting, custom fonts, and, most importantly, embedded images. When you open an email, your computer or phone needs to load each image from the Internet, which means, depending on the email client you use, your device might send a request to the server that hosts the image. Every time I open this email, my device sends Granicus my email address and a unique identifier for the email that I opened. Granicus knows exactly who I am, which email I’m reading, and when I opened it—and potentially, so might a network observer. The first part of the link, in yellow, is nearly identical to the tracking pixel URL we saw before. The redirect URL, in green, points to the article you intended to click. UTM parameters, in blue, allow whitehouse.gov to collect more contextual information about your click. That mess will take you on a brief visit to govdelivery.com before being redirected to whitehouse.gov, the location of the real press release. Once again, the redirect sends Granicus the enid data, including information about who you are and where you’re coming from. These data, combined with the pixel data from above, allow Granicus to offer “subscriber segmentation” services to its customers (i.e. the government). According to its website, customers can filter individual subscribers by their “targeted message” activity, including whether they received, opened, or clicked a specific email message within a given time frame. It’s frustrating enough that the government has been using a third-party service to surreptitiously monitor who opens emails they send, what they click on, when, and from where. What’s worse, in several of the emails we looked at, the tracking is performed over an unencrypted connection using HTTP. This means that all the requests made to Granicus are legible to anyone who could eavesdrop on your connection. If you open one of the emails on unsecured WiFi at an airport or a coffee shop, anyone could be able to monitor your activity and collect your email address. Perhaps more concerning, using an unencrypted connection allows Internet service providers (ISPs) to collect that sensitive information no matter where you are. Thanks to recent deregulation, ISPs are now legally permitted to sell data about their customers—which could include your email address, political preferences, and information about which government agencies you interact with. 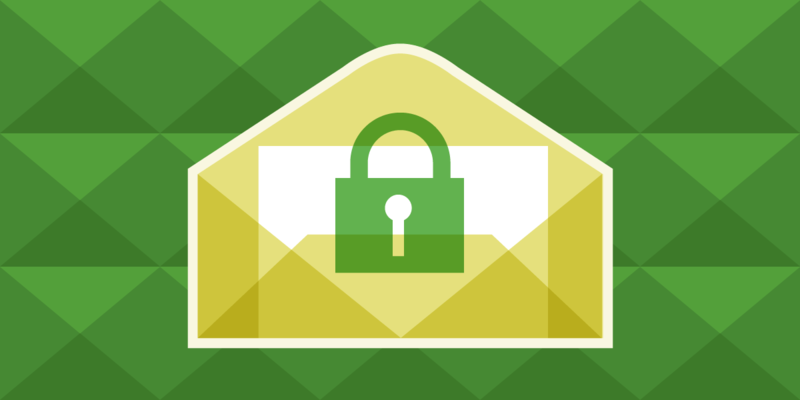 Normally, HTTPS protects sensitive information from ISPs’ prying eyes. But in this case, not only can Granicus see which email user clicks on which links; anyone on the network, including the ISP, can too. The practice of link shimming poses a subtle security risk as well: it makes users more susceptible to phishing. If users are led to click links that look like garbage, they are much more likely to be duped into clicking links from less-than-reputable sources. 91% of cyber attacks start with a phishing email, including many attacks on the government itself. That means that training users to trust insecure, illegible links to unrecognizable domains is a serious problem. Further, email addresses cannot be identified through HTTP connections. All HTTP requests made for the purposes of tracking are transmitted in unrecognizable data and do not allow users’ private information to be compromised at any time. The claim that the HTTP requests are secure and “do not allow users’ private information to be compromised” is, as we’ve shown above, demonstrably false. The data Granicus transmits are not encrypted, but encoded in base64, which can be decoded by literally anyone. Its continued use of HTTP for email tracking and failure to support STARTTLS for in-transit email encryption indicate that Granicus has not adopted encryption anywhere near “across the board” when it comes to users’ private information. In that context, the reference to “utilizing TLS 1.1” for “all traffic” is baffling, as we have seen evidence the company continues to use unencrypted HTTP for many of its emails. Other government agencies still use Granicus, such as the Department of Veterans Affairs’ “My HealtheVet” newsletter, the Social Security administration, and HealthCare.gov Alerts. These mailing lists all perform the same kinds of link shimming and pixel tracking we observed in the original White House emails. Some of the emails we've received from Granicus use HTTPS connections to perform tracking, but others still use insecure HTTP. And the company still does not support outbound server-to-server email encryption with STARTTLS. Moreover, Granicus’s response, included in full below, shows that it doesn’t understand what “secure” means in the context of sensitive user data. Government agencies should be asking some hard questions about how they continue to handle our information. Techniques like pixel and link tracking are extremely common and have been around for decades, and it’s unfortunately rare to see them being used responsibly. If you’re a sender, we implore you to think before you track. Unfortunately, many federal agencies still use Granicus' services, dubious security and all. These agencies should drop GovDelivery in favor of more ethical, more secure analytics, and evaluate how much information they really need to collect to fulfill their missions. Although the White House is no longer using Granicus, it, too, performs extensive tracking on subscribers to its lists. And the only way it offers to opt out is to unsubscribe. As a user, there’s no fool-proof way to opt-out of leaky email tracking, but there are ways to practice good email hygiene and prevent most forms of it. At the end of the day, the most effective way to avoid the tracking is to follow the White House’s advice and unsubscribe. Just be aware that the “unsubscribe” link is tracked, too. conduct an annual penetration test and audit of controls to ensure compliance. Like the world’s other leading email platforms – including several other email systems used at the White House - we do use pixels to track open rates and link shims to track click rates. This is an industry standard that has been in use for over 20 years. It’s used by virtually every major commercial and public sector communicator to track simple email opens and link clicks. It is worth noting, that Granicus govDelivery is configurable, allowing customers to turn off activity capture. Granicus is committed to the privacy and security for over 4,000 government clients and the citizens who subscribe to receive digital messages using our software, which is why we’ve made the investment to remain FedRAMP, ISO 27001 and GDPR compliant. Privacy and security are our highest and most important priorities at Granicus.